Watch the 2018 Season Finale from Imola! 70 years after hosting its first motocross race, Italy’s Imola circuit will host the return of the Motocross World Championship this weekend. The well know motorsports circuit has brought in over 25,000 cubic meters of soil and built a fantastic MXGP circuit. A full weekend of action will take place at the 20th and final round of the 2018 season. Red Bull KTM Factory Racing’s Jeffrey Herlings is the new MXGP World Champion but will have to fight against the home GP hero, Red Bull KTM Factory Racing’s Antonio Cairoli, for this weekend’s win. The season has been full of action between the Sicilian and the Dutchman but there is still one last battle between the pair of World Champions. 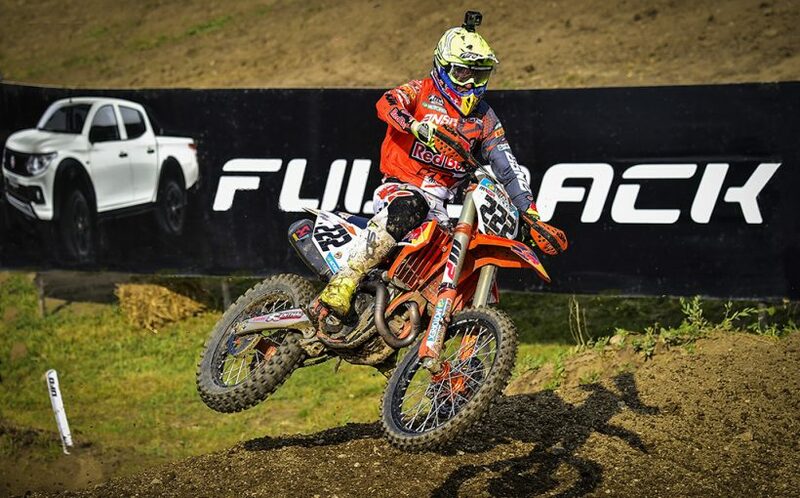 Meanwhile you won’t want to miss MX2 the young Spaniard from Red Bull KTM Factory Racing, Jorge Prado, celebrating his first ever MX2 World Championship! 2018 Season Finale, the MXGP of the Italy will receive global television coverage from MXGP’s traditional broadcast partners with Italy’s RAI onsite with live commentators along with new partner MOVISTAR Spain to cover the best moments of Jorge Prado in Imola and broadcast the 26 min behind the gate special feature for both this weekend and the entire 2019 season. As usual you can watch the 26min Behind the Gate in Europe on motorsport.tv & MotorTrend two days after the event. It can also be viewed in the USA/Canada on BeIn and MAV TV, Finland on MTV 3, Croatia on Kreator TV, South America on FOX Sports, Asia on FOX Sports, China on Fox Sports and SINA, and the Africa on Africa XP.